LCD Readout Screen Gives Actual Test Result Number. 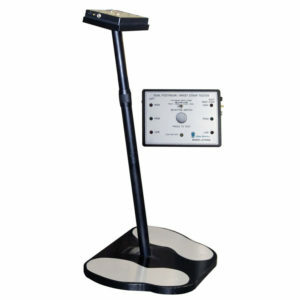 Tests Wrist only; Foot only; or Both Wrist and Foot. 100% Independently Test the Left-Foot and the Right-Foot. 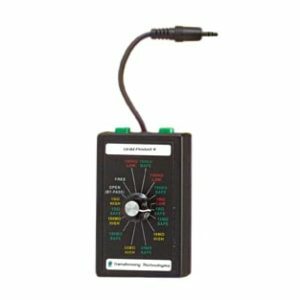 Easy, accurate, and time-saving one-touch digital wrist strap and footwear tester with “Near-Fail” alert that tells you when you are nearing failing levels. 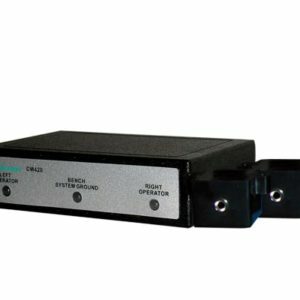 What makes the PDT 800K unique is the proactive Near-Fail Indicator that alerts the user that the ESD grounding device under test (wrist strap or heel grounder) is nearing failure levels and should be changed soon if not right away. The results are visible with the digital screen on the tester’s face. This helps prevents a worn device “passing” a test and failing in the field. 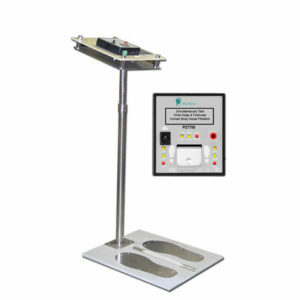 This tester fully supports the Compliance Verification Plan requirements as stated in the ANSI ESD S20.20.Simultaneously and independently test both feet and a wrist strap while filtering out human body noise. 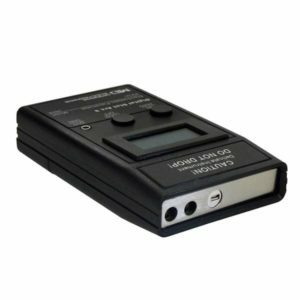 The PDT series provides you a state-of-the-art fast, safe, and extremely simple tool to fully meet your daily ESD checking need. It further assists you to effectively enhance the performance of the EPA control and administration. The “Near-Fail” indicator is a function to give a warning when the measured resistance is in the PASS range but is within 10% (default) safe range of the high or low limit. Besides the PASS LED, the corresponding LED of the high or low limit will be turned on to warn the user that the wrist-strap or the footwear is “Near-Fail”. “Near-Fail” alert can be adjusted (increased or decreased) by Transforming Technologies – contact for more information. The default upper and lower resistance limits fully meet the requirements of international standards such as ANSI/ESD S20.20-2007 or IEC61340-2007 – for wrist straps (35meg alarm) and for foot straps (100 Meg). If you have an application that requires different test limits, the PDT series has dip switch controls. 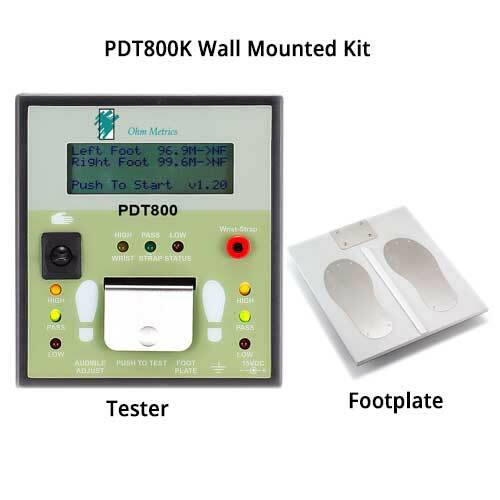 The PDT800K is factory calibrated and annual calibration is not necessary. Verification tools that simulate a functional and non-functional wrist straps/footwear are available to verify that the monitor is functional. It is recommended to verify proper working order with the PDT78PV periodic verification unit at least once per year. 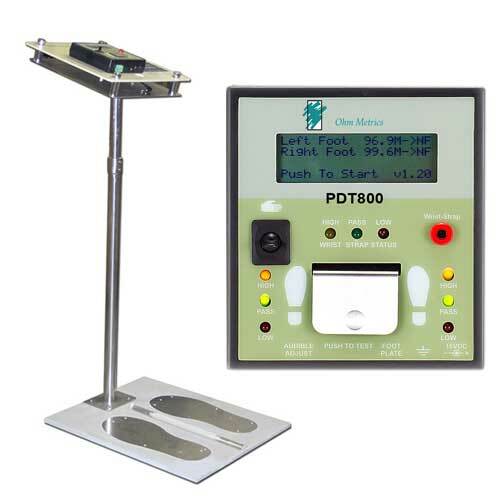 The PDT800K is a freestanding tester which includes the testing device, footplate and pedestal stand. 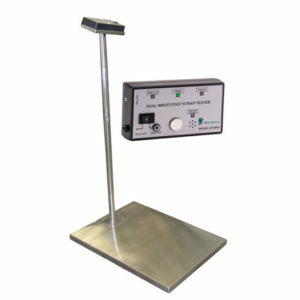 The unit is also available as a wall mount unit and does not include the pedestal stand (p/n PDT800). The PDT series testers have a built in N/C N/O switch used with doors or turnstiles where a positive test allows the person to move through. The relay has contact rating of 1A 30VDC maximum and with the center contact as COMMON contact and the left contact as NC(normally close) and the right contact as NO(normally open). These are the inputs that are used to connect the device you want to trigger.